There are many ways to get a girl’s attention. Just being a gaijin in Japan can be helpful… sometimes — though sometimes decidedly unhelpful in this regard. But a select few people rather choose to adopt more unusual means in order to get closer to their target. That being said, we reckon this guy takes the prize for most brazen. 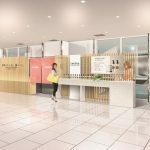 Back in February, a 26-year-old woman was working as normal at a cosmetics section of a department store in central Tokyo. Now, as anyone who has ever gone to one knows, these sections tend to be on the ground floors of department store and overwhelm visitors with two things: the aroma of all the perfume and the beauty of all the assistants. A man approached the woman, walking with apparently hesitation. “I can’t see,” he told her and requested for help in finding a toilet. This being the land of omotenashi, she dutifully stepped out from behind her counter to assist him. But this was his cunning trick. The man, 33-year-old Yosuke Mizokami, was only pretending to be visually impaired. 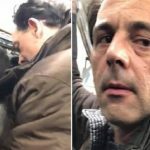 As the woman helped him like a Good Samaritan, he faked a tumble and then, as he got up, groped her chest. Naturally, his act gave the game away somewhat and Mizokami promptly fled the scene. But video evidence led police to arrest him in a city in Kanagawa on July 9th. It then made the news (a groping and molestation, or chikan, in itself, being so common in Japan, is sadly not newsworthy). 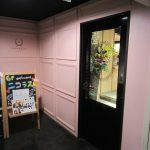 Mizokami admits the charges and now investigators are examining a series of similar cases in Tokyo and Kanagawa where a man pretending to be blind groped saleswomen. 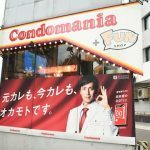 Condomania closes iconic Omotesando store (and reopens in new location) Condomania survives, but will be less visible than before.